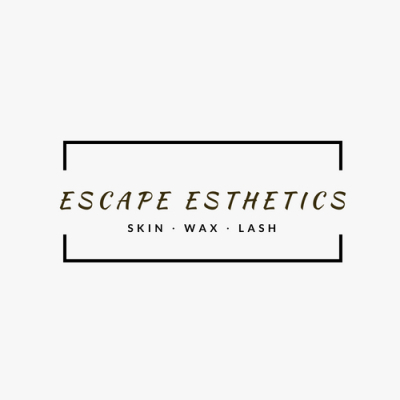 This more in depth customized treatment includes consultation, cleanse, enzyme exfoliation, choice of Dermaplaning, Microdermabrasion, Microcurrent or Rezenerate (nanotechnology product infusion) followed by a mask, LED, moisturizer, lip treatment and spf. Customized Peels for optimal results ~progressive to more aggressive depending on goals and skin type. Enzyme and Retinol Booster add on options. Best results are achieved when done in a series. This highly effective treatment exfoliates the skin and removes vellus hair from the face. There is no downtime and skin is left smoother, radiant and refreshed. Products penetrate deeper into the skin after this procedure. This is an amazing treatment for those with couperose skin, rosacea, sensitive skin or other contraindications to Microdermabrasion. This relaxing, gentle treatment can be repeated on a monthly basis. Known as The Best. Facial. Ever. ReZENerate Facials use verified Nano Technology to reduce the appearance of fine lines, wrinkles, pigmentation, blemishes and improve skin tone. A gentle treatment that literally nourishes skin at the cellular level by infusing serums with the ReZENerate Wand. ReZENerate is an ideal treatment for those who want fast, painless results with no down time. ​​This age defying treatment uses low levels of electricity, known as Microcurrent to dramatically diminish the appearance of fine lines and wrinkles, improves skin tone and elasticity. These Microcurrents impulses trigger chemical reactions at the cellular level to enhance the production of collagen and elastin, product penetration is increased resulting in firmer, smoother skin. Known as a "Non-Surgical Facelift" this treatment provides amazing results when done in a series. A cutting edge facial technique providing advanced results in: reducing fine lines & wrinkles, evens out skin texture, reduces acne scarring, promotes better product penetration, reduces hyperpigmentation and sun damage, reduces dry and flaking skin. This antioxidant treatment is used to combat aging and repair skin damaged by environmental factors and the oxidation process. Oxygenation and circulation are stimulated within the skin. This rejuvenates aging, stressed, or acne affected skin as it draws oxygen to the skin's surface. Healing is promoted for skin damaged by toxins, pollutants, allergens, improper diet and sun damage. The results are radiant, youthful and healthy glowing skin. Our customized break-out clearing treatments simultaneously address all of the four main causes of acne, leading to an even clear complexion. Skin is infused with antibacterial, acne controlling ingredients. If you suffer from rosacea or skin that always seems red or irritated, we provide gentle treatments specifically for your skin needs, infusing the skin with anti-inflammatory, redness-reducing and skin-strengthening ingredients. Rejuvenating treatments are customized to treat and control fine lines, wrinkles, sun damage, uneven texture and laxity. Regular treatments help to achieve and maintain a fresh, bright, youthful complexion. Herbology uses Chinese herbs combined with nourishing oils designed to smooth, hydrate and re-texturize your skin. After application you will be wrapped in warm blankets while experiencing a relaxing scalp rub and facial if added, this treatment ends with a luscious full body moisturizer. Prepare to be relaxed from head to toe after this rejuvenating stress releasing treatment. ​T​reat aging, pigmentation, skin texture and acne on the body. Prices vary by area, series provide best results, consultations available. Relaxation with targeted treatment for acne or dry skin includes cleanse, exfoliation, extractions if needed, mask and moisturizer.